Theresa May has told parliament that "as things stand" she does not have enough support for her Brexit deal for it to pass through parliament. 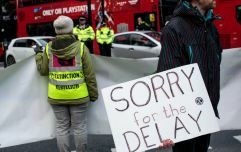 Speaking in the House of Commons on Monday afternoon, the prime minister said she would continue to attempt to get MPs on board, though there was currently "still not sufficient support" for it to pass on the third asking. "The alternative is to pursue a different form of Brexit or a second referendum," May said. "But the bottom line remains: if the House does not approve the Withdrawal Agreement this week and is not prepared to countenance leaving without a deal, we would have to seek a longer extension." 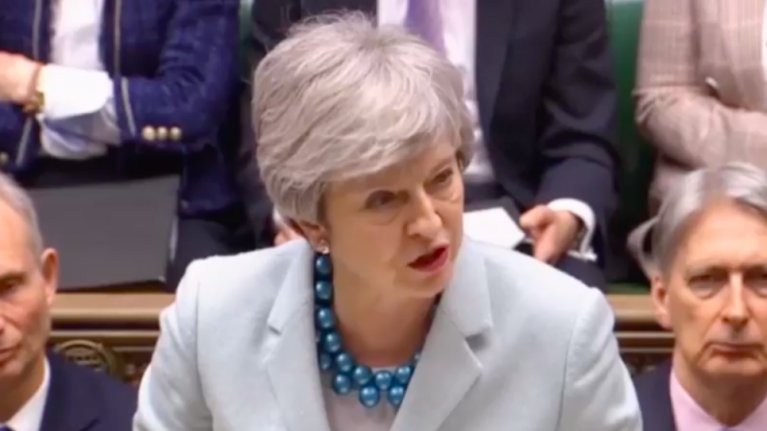 She also said she would order her MPs to vote against Conservative Sir Oliver Letwin's bid, alongside a number of his fellow Tory backbenchers, to hold a series of alternative votes on her Brexit plan. Although she added that parliament would be given time to vote on and debate these alternative arrangements. "The votes could lead to an outcome that is non-negotiable with the EU," the prime minister said. "No government could give a blank cheque to commit to an outcome without knowing what it is. So I cannot commit the government to delivering the outcome of any votes held by this House, but I do commit to engaging constructively with this process." However, responding to the statement, Jeremy Corbyn said Labour will back the Letwin amendment. "It is time for Parliament to take control," he said. He added that it was "wholly inappropriate for the prime minister to try to pit the people against MPs" and "ridiculous" for the prime minister to suggest that perusing such a course would mean overturning democratic institutions. "The government’s approach to Brexit has now become a national embarrassment," he said. "After two years of failure, broken promise after broken promise, the prime minister finally accepted the inevitable last week and voted to extend Article 50 and went to Brussels to negotiate." Theresa May's statement comes after a weekend of turmoil for the prime minister that saw her fail to convince hard Brexiteers, including Boris Johnson and Jacob Rees-Mogg, to support her deal during crisis talks at Chequers. On Saturday, 'over a million' people marched in London in favour of a People's Vote on Brexit. But responding to a question from Lib Dem leader Vince Cable about the march and the possibility of a second referendum, May said: "I wasn’t not on the march because I was too busy, it’s because he and I have different opinions on a second referendum. "I do believe it’s important that this House, rather than talking about and wanting to pass the decision back to the British people, we will say to the British people that we will abide by the decision of the 2016 referendum."